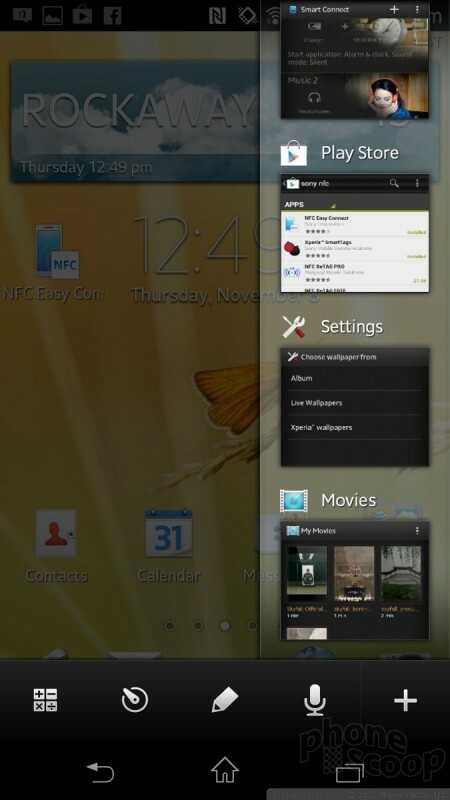 The Xperia TL ships with Android 4.0 Ice Cream Sandwich (ICS), but it will receive Android 4.1 Jelly Bean shortly. In addition to ICS, the TL comes with some customizations from Sony that are in line with its previous smartphones. The first thing I should point out is that the TL is the "official Bond phone." In other words, it is the device used by Daniel Craig in the "Skyfall" James Bond movie that opens this month. That means the TL comes with a Bond theme, complete with wallpapers, ringtones, alerts, video clips, and so on. (No, there is no laser, no diamond saw blade, nor is there stun gas inside.) 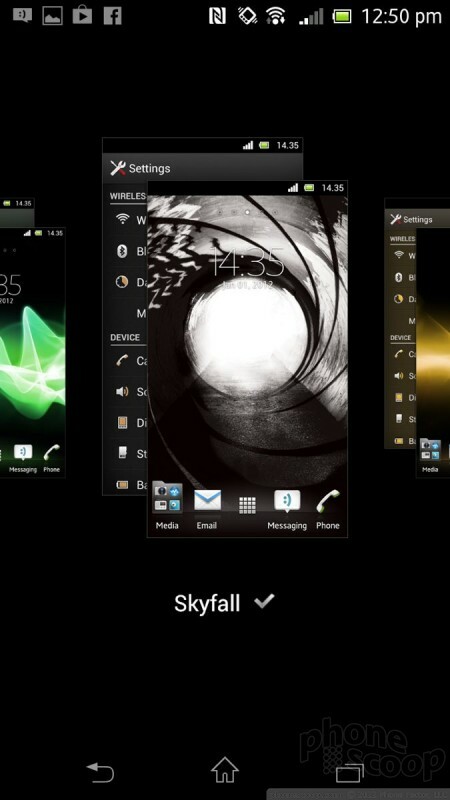 If you don't like the Skyfall theme, you can choose from a handful of other themes from Sony that we've seen on other devices such as the Xperia Ion. The lock screen only offers one shortcut, which is to the camera. 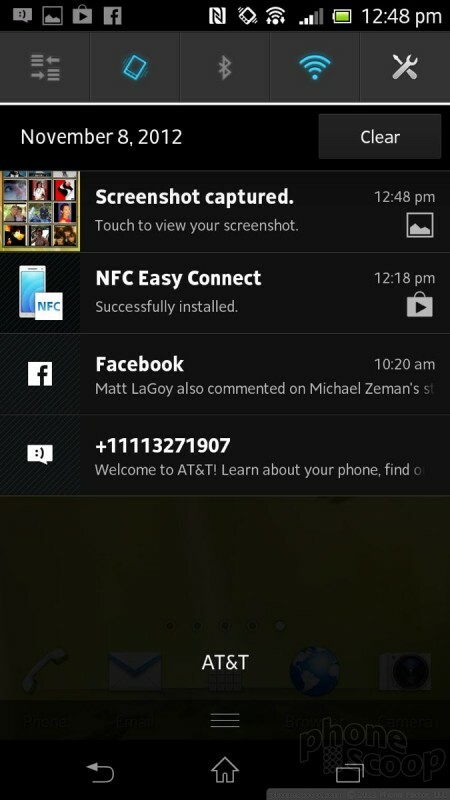 It does, however, offer a customizable set of notifications. 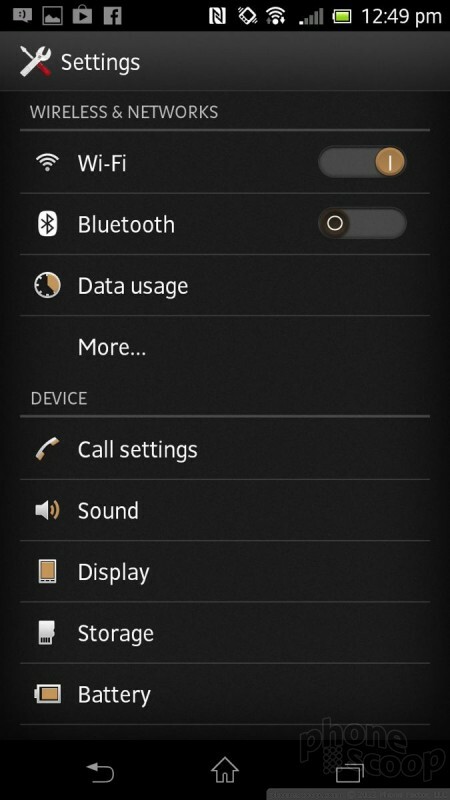 Using the settings tools, you can select which types of notifications are displayed on the lock screen, including missed calls, text messages, emails, calendar appointments, and so on. The TL has five home screens, plenty of widgets, and the notification shade, main app menu, and settings menu all work just as they do on other Android phones. Sony did one unique thing with the TL's multitasking function. When you press the multitasking button, the recent apps you've used appear as normal in a vertical column. However, a little strip of apps also appears along the bottom of the screen. 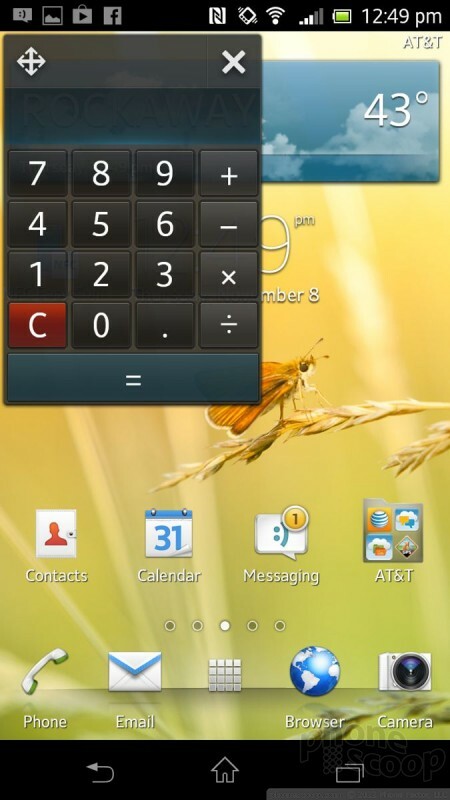 These apps, called Xperia Small Apps, include a calculator, note app, clock app, and voice memo app. These aren't shortcuts to full-fledged apps. 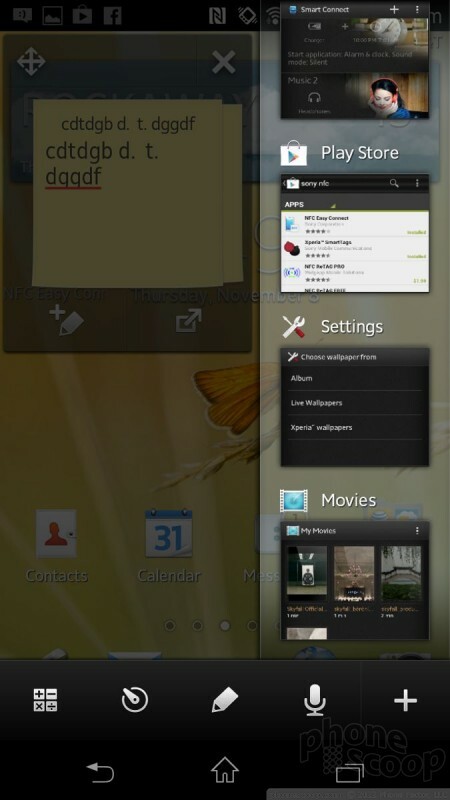 They are miniature apps that pop up as a window on the multitasking screen. They are only accessible from the multitasking screen. Sony said it will add more of them over time. The TL has a 1.5GHz dual-core Qualcomm Snapdragon processor. It provided more than enough motivation for the TL's software, apps, and user interface. Even with the Bond theme in full spy-chaser mode, the TL has no problem operating smoothly and without trouble. The TL is one of the zippiest Android phones I can recall reviewing. 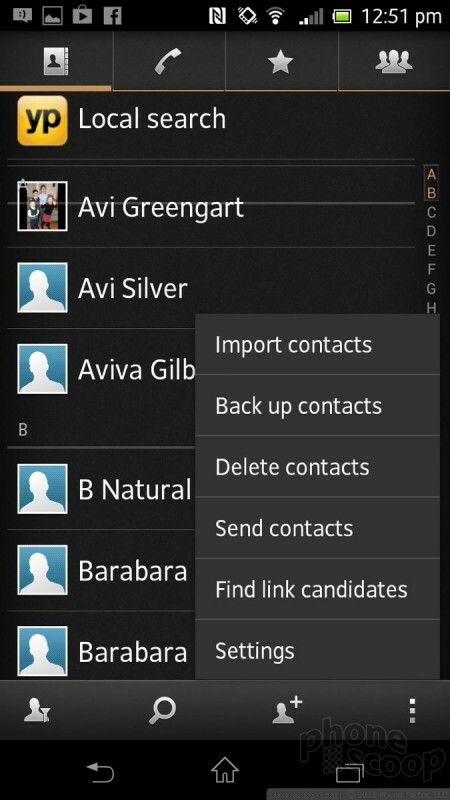 The phone and contact applications have been spruced up with a new look from Sony, but are functionally identical to the stock tools offered by Android 4.0. The phone app includes the expected features such as mute, hold, speakerphone, and add a line; and the contacts app syncs flawlessly with your Google, Google+, Exchange, and Facebook contact databases. Perhaps the best thing about the TL's contact app is the sheer volume of home screen widgets that come with it. 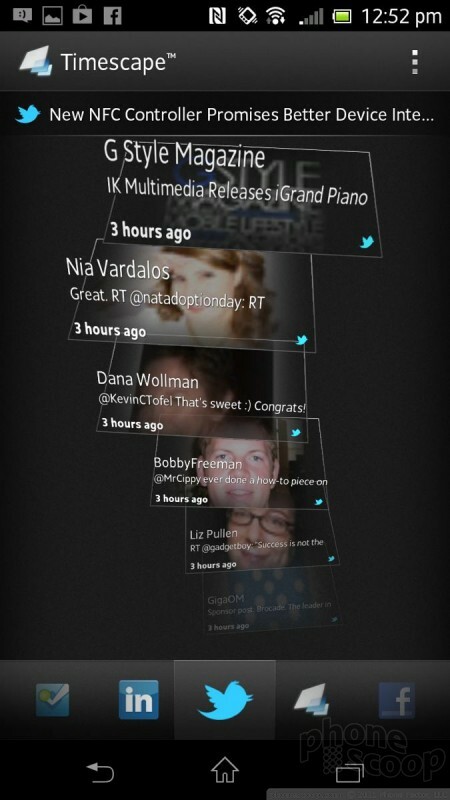 There have to be a dozen different ways to paste your favorite besties onto the TL's home screens. The TL has the expected set of Android communications tools, including Gmail, email, Google+, Google+ Messenger, Google Talk, and SMS. These apps function fine, just as they do on other devices. The TL has a couple of other apps that set it apart, however. First, it has the Sony TimeScape app. 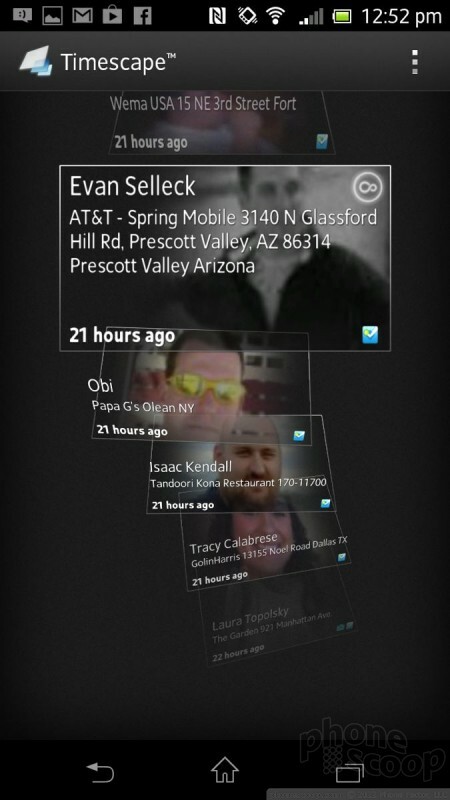 TimeScape, which dates back to the first Sony Android handsets, collects all the status updates, messages, and such from varied messaging platforms (Facebook, Foursquare, LinkedIn, Twitter, etc.) in one place. 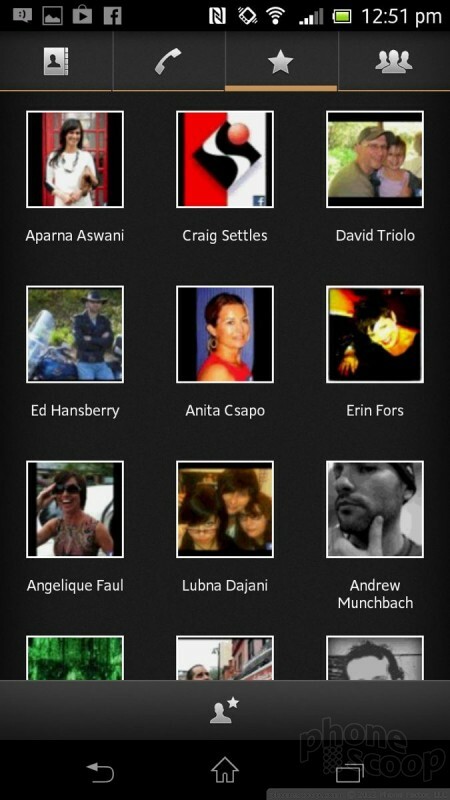 It serves as a catch-all social networking app. 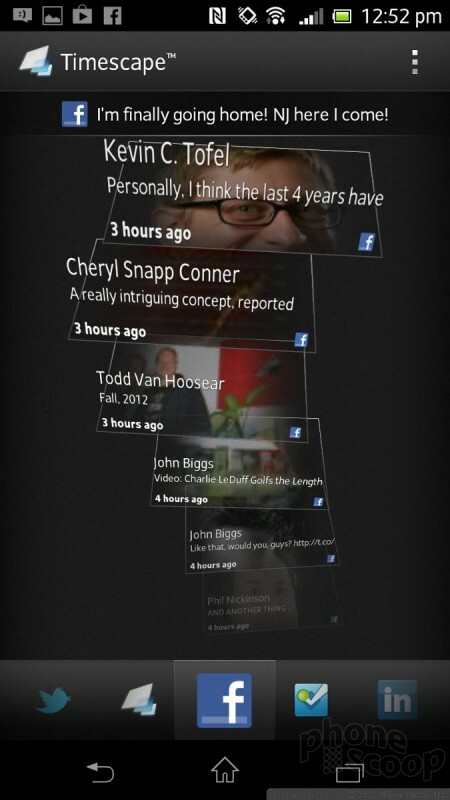 What's cool about it is the way it presents the information. 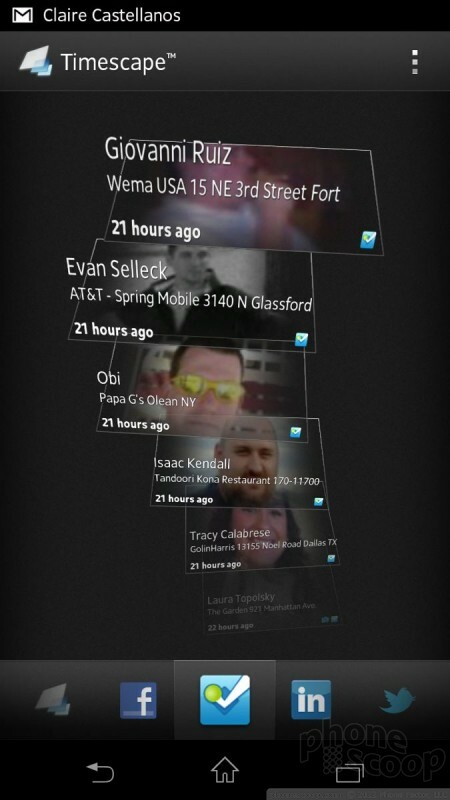 Rather than a boring grid interface, it puts status updates on a stack of 3D cards that float up and down the screen. You can view an unending stream of status updates from all the networks at once, or view individual threads (Facebook, Twitter). 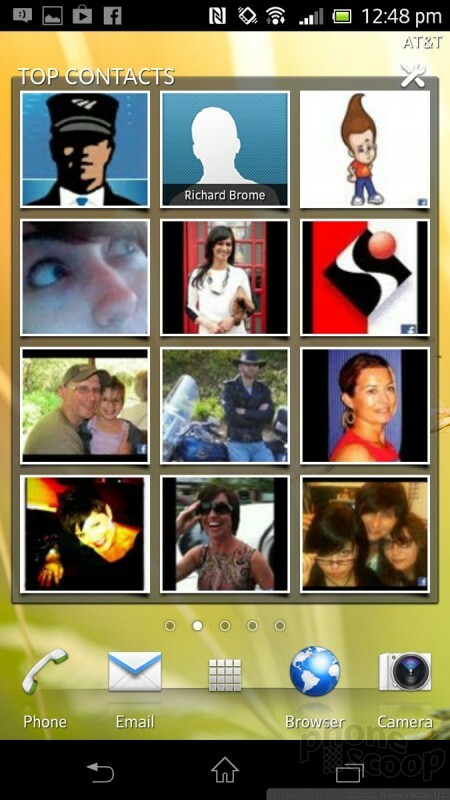 It's a cool app that I've always liked. Second, the TL has AT&T's catch-all messaging app. 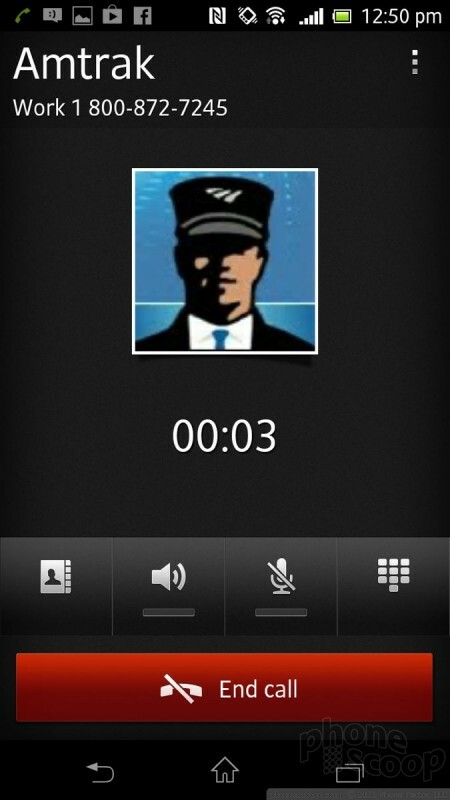 This app puts SMS, IM, Facebook IM, Google Talk, and Twitter DMs all in the same place. I wish I could tell you it is as visually gratifying as TimeScape, but it's pretty awful to look at it. However, it is useful for managing all your messages in one spot. 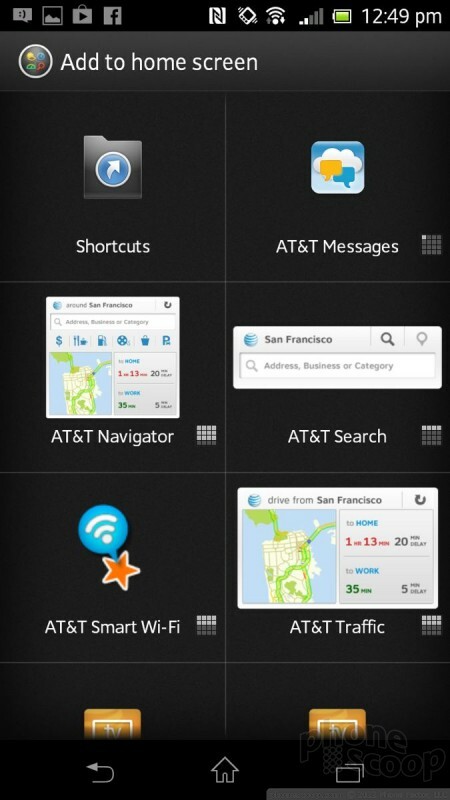 Sony's latest Android smartphone for AT&T is the Xperia TL. This LTE-equipped device has a solid screen and some personality in the design. 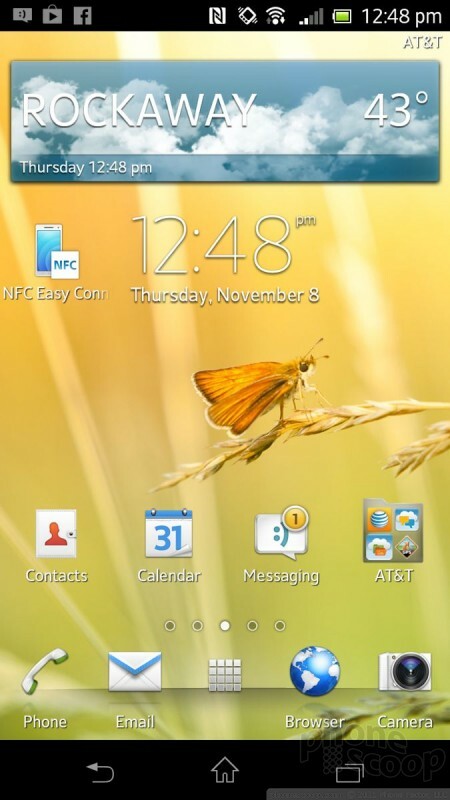 AT&T today announced that the Sony Xperia TL will be available online and in stores beginning November 2. It will cost $99.99 with a new two-year agreement. AT&T today announced the Sony Xperia TL, an Android 4.0 smartphone that includes a 4.6-inch 1280 x 720 HD display with Sony's Mobile Bravia Engine. The TL, which is sold as the Xperia T in other markets, features a 13-megapixel camera with a quick-launch feature, and can capture 1080p HD video. 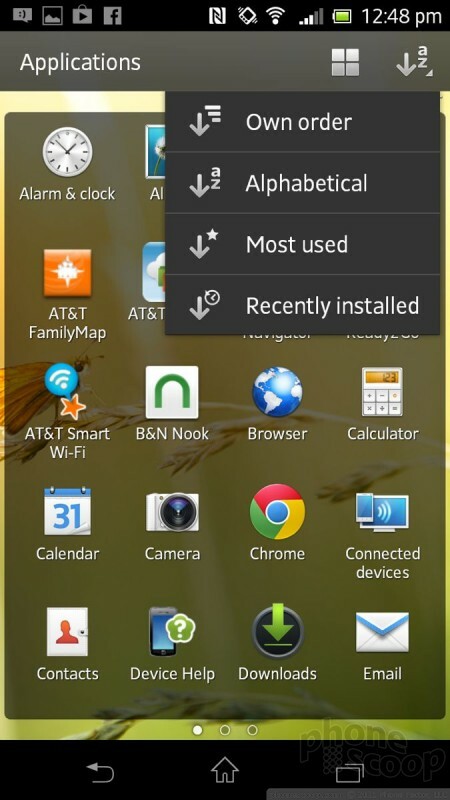 AT&T today announced that the Android 4.1 Jelly Bean update is now available to the Sony Xperia TL. Some of the stand-out features include a new data usage calculator, more useful messaging notifications, a new camera interface with improved HDR shooting, and an improved battery management tool. Sony today provided an update to its Jelly Bean distribution timeline. According to Sony, the Xperia T, TX, and V will receive Android 4.1 in February and March as planned.